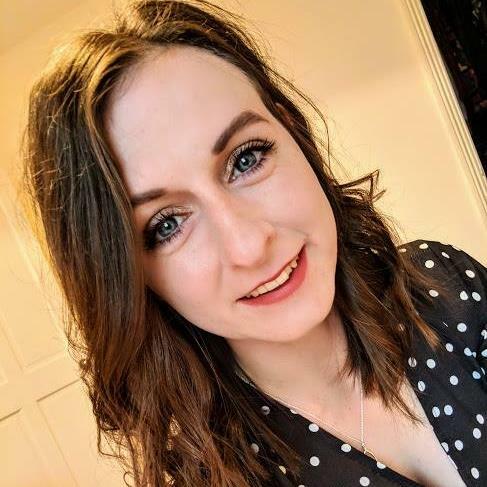 One of the things we noticed immediately was the vast space the venue has to offer; there's plenty of space for you to enjoy the atmosphere of a sporting or live music event or if you'd like to dine in a quieter area. O'Neill has really thought about the individuality of each dining guest to come through their doors. 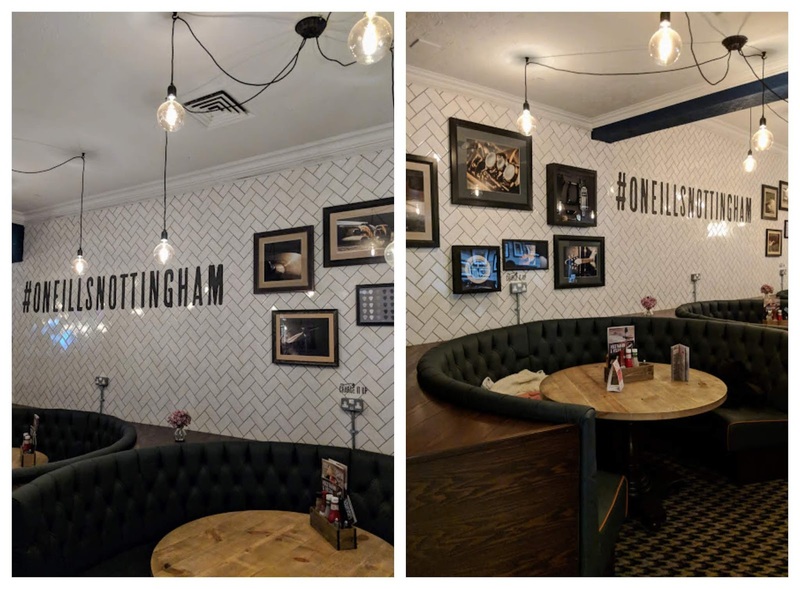 The place has really gone to town with its refurbishment and has been transformed into a modernistic/classy bar with industrial type warm lighting and pictures drawing attention to musical influences. It feels really brand new and very 'hip' in 2019. It's aesthetic is not stereotypical of a sports bar and I really like that vibe alone from this place. The food surprised us too! We usually dine at similar restaurants and nothing quite prepared us for the standard of this food for the affordable price tag that goes with it. Their menu is astonishing with Breakfasts from £3.50, Lunch for £5 and Main courses at dinner for around £6-7. O'Neills also have a fantastic Vegan and Vegetarian range of dishes available too! We were overwhelmed by choice but couldn't wait to get stuck into the food we ordered for ourselves with a voucher kindly gifted to us by O'Neills*. For starters, we went for the Ultimate Sharing Platter and it was exactly that! We dug into the Macho nachos, BBQ glazed chicken wings, fried buttermilk chicken bites, beer-battered mushrooms, onion rings and garlic pizza bread. Served with BBQ and sour cream dips. It's making me full just writing about it, what a cracking starter it was! 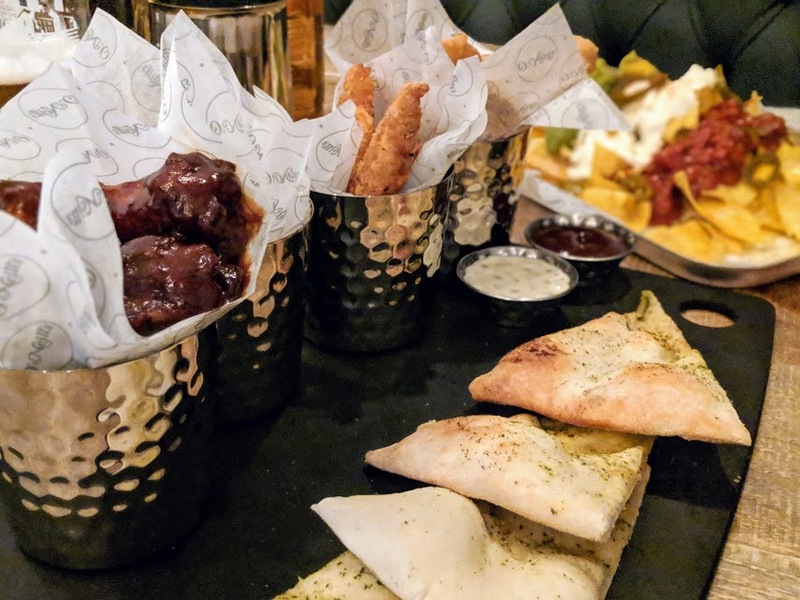 Although there was a lot to eat it showcased the variety of starters available within O'Neills and we were impressed! The fried buttermilk chicken bites were tasty dunked into the sour cream dip and Jordan polished off the BBQ glazed chicken wings before I even had the chance to have a second one! We demolished as much as we could from the starter but we definitely felt full afterwards. 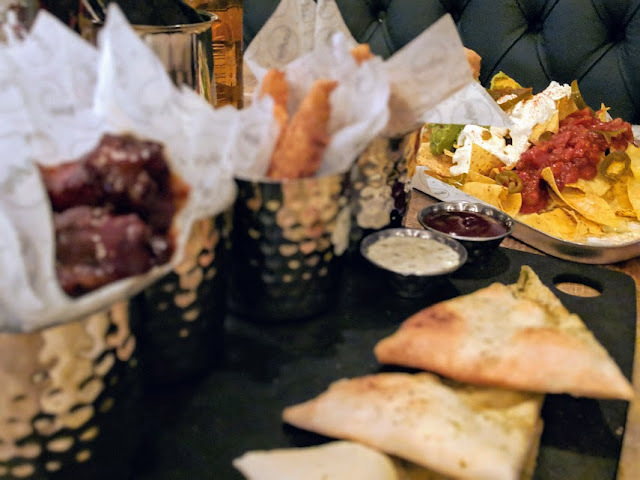 We both noted that this sharing platter would be fantastic for a snack; so perfect if you are taking a break from shopping around Nottingham's high street or whilst watching a sporting event. It was priced at £9.75 which we thought was a great price for so much food! 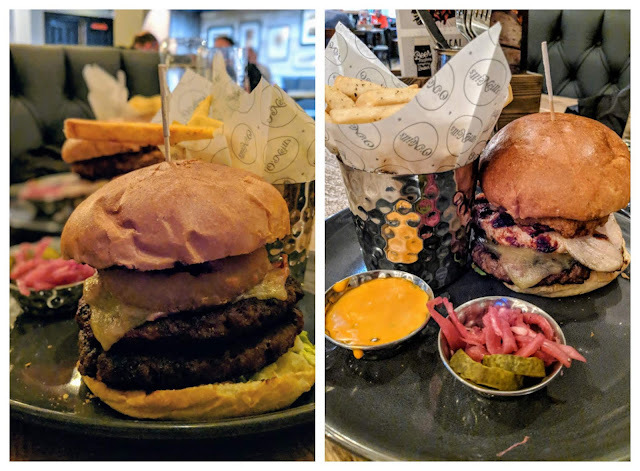 For the mains we both decided to tuck into one of their burgers, they have 12 variations on their menu so it was a tricky decision to make! I went for The Big O Burger. 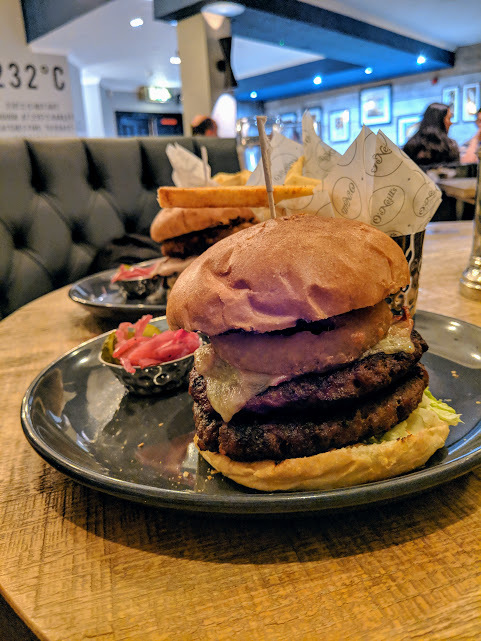 Made up of two house beef patties, layered with Monterey Jack cheese, crispy bacon, dill pickles, onion rings and signature sauce. The burger was incredibly juicy and full of flavour - it was cooked exactly how I would have liked it! Jordan went for The Triple House burger which looked just as tasty too! His burger was made up of beef patty, grilled chicken fillet and southern fried chicken fillet with melted Monterey Jack Cheese! mmm! 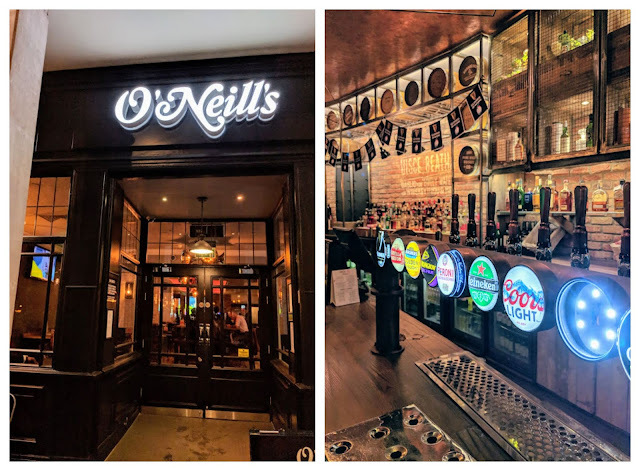 Honestly collectively some of the best food we've had in a bar-restaurant for a very long while and we'll definitely be hitting up the O'Neills Nottingham branch on our next visit to Nottingham. 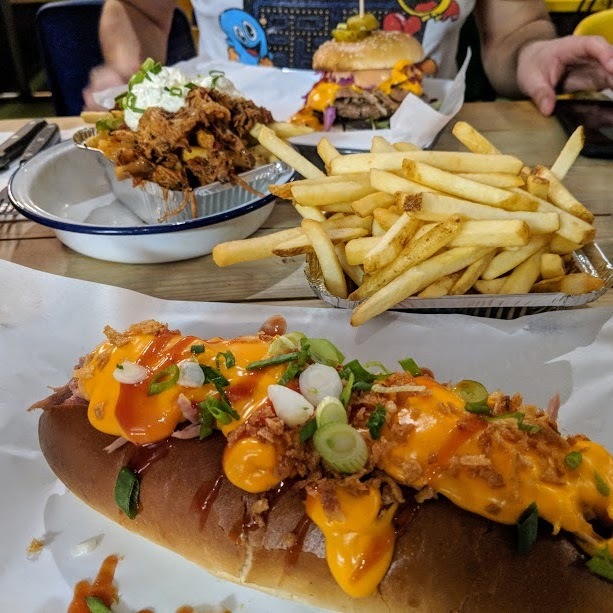 We weren't disappointed at all with the quality of both the food and service delivered to us throughout our experience. I would highly recommend you give them a visit when you are next in Nottingham too! *voucher supplied in return for purchase on dinner at O'Neills, Nottingham.